This is a typical look for when I am just on my errand run, may it be on a weekend or weekday morning. If I’ve got a lot going on, I may just throw on something easy but I always want to feel put together. 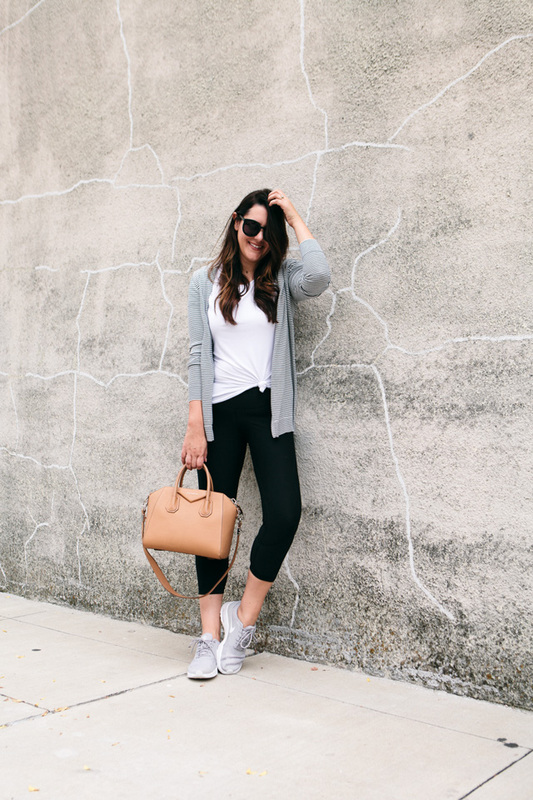 I actually love wearing activewear outside of the gym but I like to mix it up so it doesn’t feel out of place. 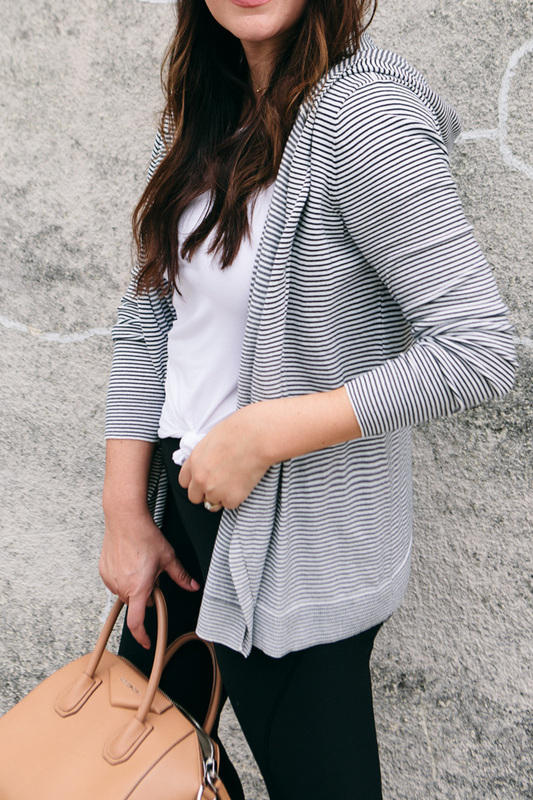 I found this striped hoodie from Loft and knew exactly how I wanted to wear it. It’s my ‘running around town hoodie’ and it’s perfect for just that. (Or my ‘Neighborhoodie’ if you will. Just a hoodie, if you will not.) I toss it on with some yoga pants and sneaks and it’s good to go. I look put together and feel comfortable. 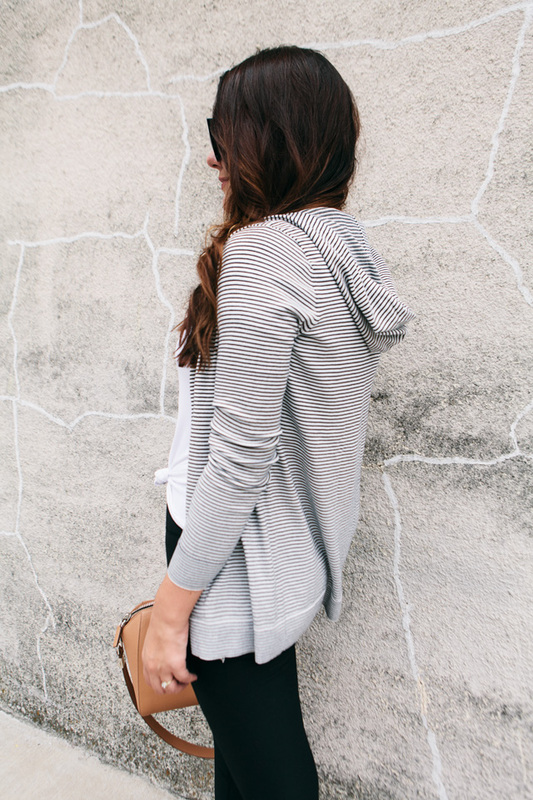 (This hoodie would be perfect for travel too!) And while I can attest to its adorableness with denim as well, yoga pants won this day. I’m just over here putting the leisure in athleisure since 2011 …or whenever yoga pants became acceptable are real pants. Hard to believe we ever lived in a world where spandex wasn’t worn on the regular. I shudder to think of such a time. You can find this hoodie here! I picked up a pair of these Zella leggings during the Nordstrom sale because I truly do live in them and I wanted the midi length for spring and summers. 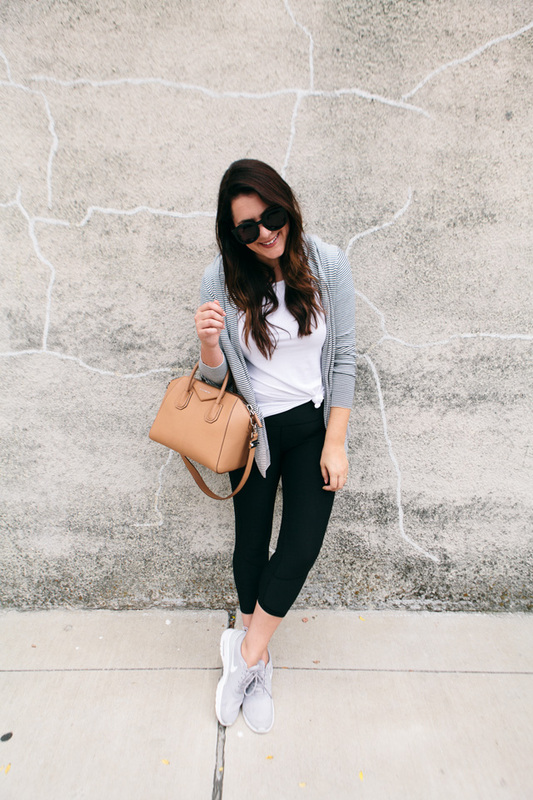 (PS: Zella leggings last forever! They are such a good investment. I have some from my first anniversary sale in 2014 and they look brand new.) I can work out in them or I can toss them on for an easy Saturday outfit or for a quick Target run. I am in the medium and find that they fit true to size! 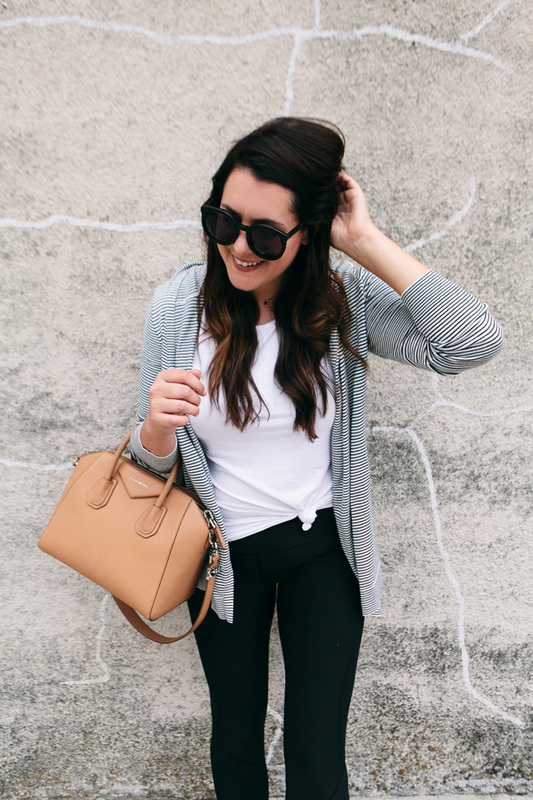 You can find my Zella leggings here! We are working so hard on a project that we are getting ready to launch in just a few days, so if you see me being a tad bit quiet around here that is why! I can not wait to show you what we are working on over here at Everyday HQ. You are going to love it! Everything fits true to size! Woo-hoo! I’m in the medium of all of the pieces. 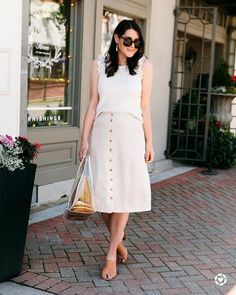 What a cute outfit! I have been going to the gym more lately, and I think I need some Zella leggings to reward/encourage myself.